Zoliduo beads are new, teardrop-shaped beads with parallel holes, slightly flat-backed. 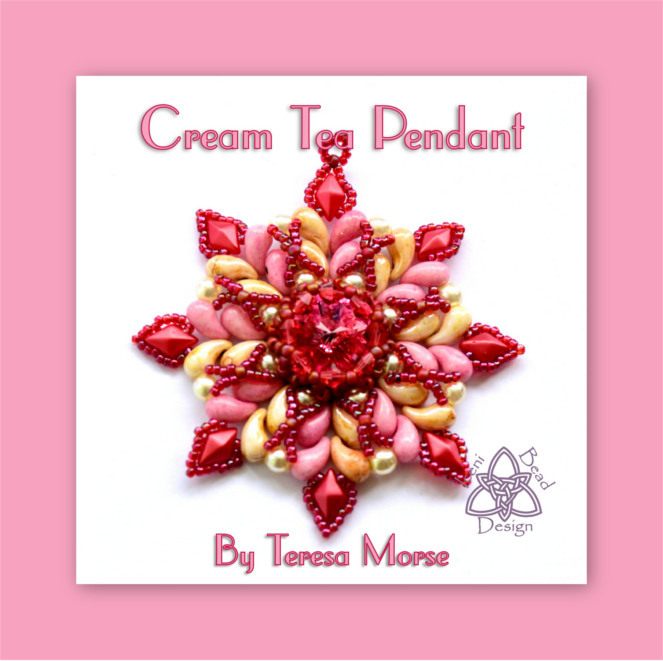 There are right and left versions, enabling you to create wonderful shapes and dimensions to your beadwork. In this pendant, their unique form is shown clearly, used with glass pearls and Diamonduos surrounding a netted rivoli. You can use any combination of right and left colours, all just as effective, or just use one colour and focus on the shape. Please note, instructions for peyote stitch bail or chenille stitch rope are NOT included.